An eagle’s nest is just as amazing to see as an eagle. 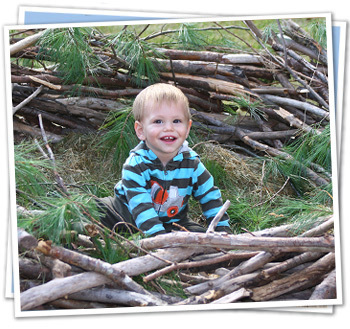 The nest is a large structure, often located high in a large, live white pine tree near water. It is reused and added to each year, often becoming eight or more feet deep, six feet across and weighing hundreds of pounds. If a nest tree falls or a strong wind blows a nest down, the pair usually rebuilds at or near the site within a few weeks if it is near breeding season. Once a pair selects a nesting territory, it is used for the rest of their lives. It is especially important to practice Eagle Etiquette if you see an eagle’s nest. Young eagles are easily disturbed, and causing them to fledge prematurely could cause injury or death of an eaglet that is not yet able to fly. It is best to stay at least 1,000 feet from a nest and to use binoculars or scopes to view. Always respect restricted zones, nesting areas, and private property. The following nests can be viewed by the public at a safe distance, through binoculars and spotting scopes. At Promised Land State Park in Greentown, PA, view the nest from the wildlife observation station, accessible from Bear Wallow Road. There is also an active nest at the Basha Kill Widlife Management Area near Wurtsboro, NY. This beautiful wetland is open to the public, and the Basha Kill Area Association regularly hosts educational events there. In Narrowsburg, NY, the town has installed an eagle-viewing platform to make it easier to spot eagles—and the local nest—right from the bridge. 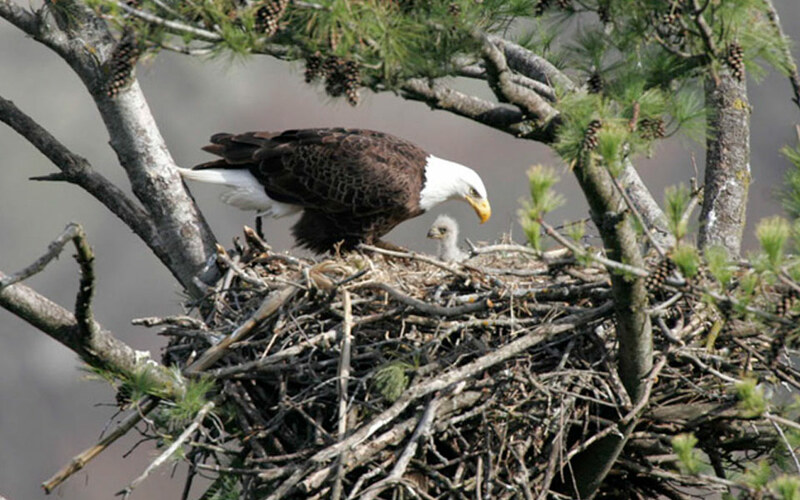 In addition, the PA Game Commission has live eagle-nest cams that can be viewed online anytime.